Brilliant as she has been, Joni Mitchell has also had made nearly as much music that is, shall we say, in equal measures underwritten, bombastic, pretentious, just plain pretentious. She coveted the sobriquet "genius" more conspicuously than any pop star I can remember--even self-mythologizer Dylan rejects the application of the word to his name. and has suggested. She complains of Dylan's lack of authenticity when the whole notion of art and being an artist is based in large part on creating things that are inauthentic; the very words "art" and "artist" are intrinsically linked with the word artificer, a term that means, in general, some designed, made by hand, an unnatural addition to what is already in place. She bemoans the lack of authenticity and forgets, perhaps, that she, Simon, Dylan and Leonard Cohen, poet-songwriters of the Sixties, were storytellers more than anything, fictionalizing their feelings, their politics, their biographies in the interest of a good yard, a good line, a good insight. Authenticity, I would argue, has more to do with feeling that a writer succeeds in creating, not the emotion he or she in fact feel. She is grumpy, to be sure, but this will not suffice as a justification for her ire. She is famous and cranky and frankly, it's a tedious dirge she replays every chance she gets. She not so subtly demands that she be taken seriously as a musical artist, and she has produced albums that have tried to force the issue. Her stabs at art song, serial music, jazz material, and feminist surrealist have given us mixed results at best. The fatal flaw in these ambitious efforts was that the worst elements of them were so impossibly precious and self-important that they summarily dwarfed what fresh ideas she might have had at the time. Her ongoing arrogance and bitterness leave a bad taste. 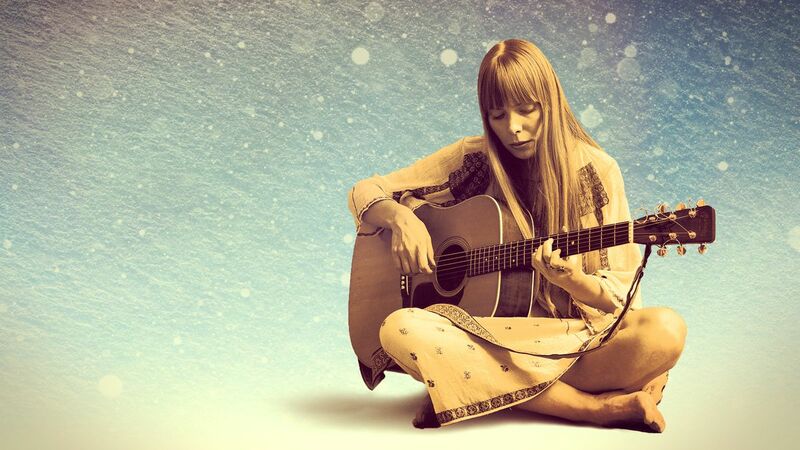 Listeners have taken joy in Joni Mitchell's continual insistence on changing her musical approach, so it wasn't unusual that the release of Hissing of Summer Lawns was hailed, for the most part, as a bold step towards personal and artistic growth. But while Hissing, and her subsequent and less successful Hejira, did indeed show Mitchell expanding herself to more adventurous motifs - broader song structures, an increasingly impressionistic lyric scan, jazz textures - the trend toward a more personalized voice has virtually walled her off from most of her fans. Don Juan's Reckless Daughter, her now double record effort, takes the ground gained from the last two albums and converts it into a meandering, amorphous culmination of half-formed concepts. The primary emphasis, musically, is towards jazz modernism, with several songs exceeding ten minutes in length as they ramble over Mitchell's vaguely comprehensible piano chords. She reveals a tendency to hit a strident chord and to let the notes resonate and face as she vocally ruminates over the lyrics - while her side players, Jaco Pastorius and Wayne Shorter from Weather Report, and drummer John Guerin, do their best to add definition. The lyrics, following suit, are an impressionistic hodgepodge, a string of images, indecipherable references, and gutless epiphanies that should have been edited with a blue pencil. While the more hardnosed defenders may defend latest with the excuse that a poet may express his or her self in any way they see fit, one still must question the worth of any effort to dissect Reckless Daughter the way one used to mull over Dylan albums. Though any number of matters that Mitchell chooses [sic] to deal with may have value to her audience - spiritual lassitude, the responsibilities of freedom, sexuality into middle ages - she doesn't supply anything resembling hooks, catchphrases or accessible points of reference for them to latch onto. Instead, she gives them art, whether they like it or not. The paradox in Mitchell's stance is that she has thrown craft well outside the window while trying to measure up to "Art" in the upper case. She has gone from being an artful songwriter to being merely arty, which is a state of mind that takes hold of many of public personalities who think they know it all and who conceive themselves as no longer being bound by conformity. In her own way, Mitchell has joined the ranks of John Lennon, Yes and other bright talents who've over-dosed on their own importance. With her subsequent album Mingus, we find ourselves having to admire Mitchell’s willingness to expand and reach beyond the merely chatty confessionalism she’ come to be known for and serve up art that is truly artful. “Arty” is a more telling description, though, as her ambition to impress outstrips craft. There is an aroma of the untutored dilletante banging away on a piano she (or he, for that matter) doesn’t know how to play; the smarty pants assumes we’ll think it bold and experimental. But she is not Mingus, the composer, the musician, the artist, and I pray she doesn’t think she is his equal because no one is. I've nothing against an established artist trying to break away from the stuff they've already done so that they might "advance their art," but I protest artsy experiments in areas where an artist has no business being. To be specific, Joni Mitchell has little justification to be futzing around with the moody expressionism of jazz, as she does on Mingus. Though the music and lyrics jell better this time than on her previous Don Juan's Reckless Daughter (a bottomless pit of amorphous atonalism and free-associative lyrics that expressed the forgettable in terms of the incomprehensible), Mitchell's primary problem on Mingus is that she's not much of a jazz singer. Her voice sounds thin and attenuated when it should sound alive, brassy, and full-bodied, pallid when it should have color. You find yourself longing for Annie Ross, or Patti Waters. And as a tribute to the late Charles Mingus, this record doesn't quite wash. The bits of dialogue between songs, featuring Mingus reminiscing with the musicians and ever pondering his own death, don't give the album any more depth than what the music - some of it quite good, most of it half-baked - already supplies. It smacks of tackiness.